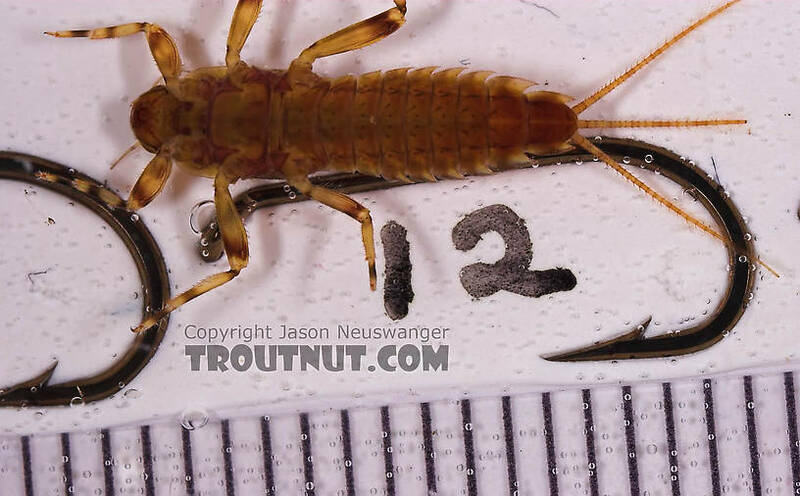 This specimen was collected together with a darker one of the same species. 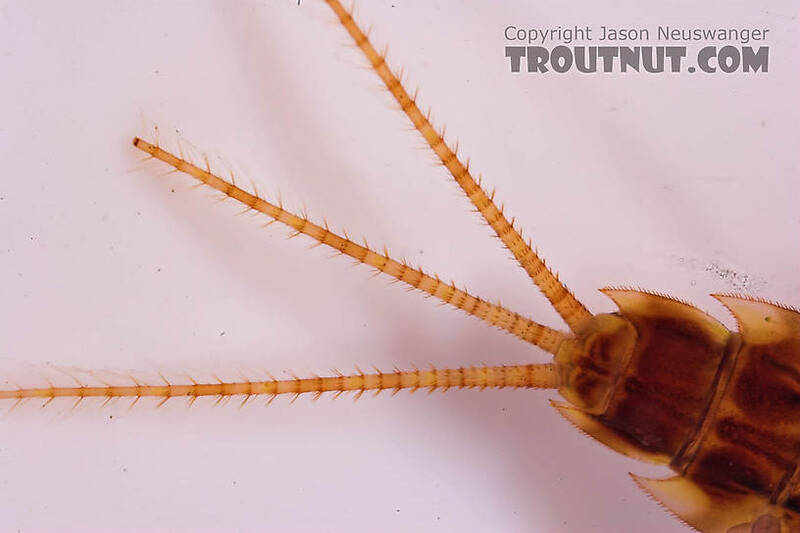 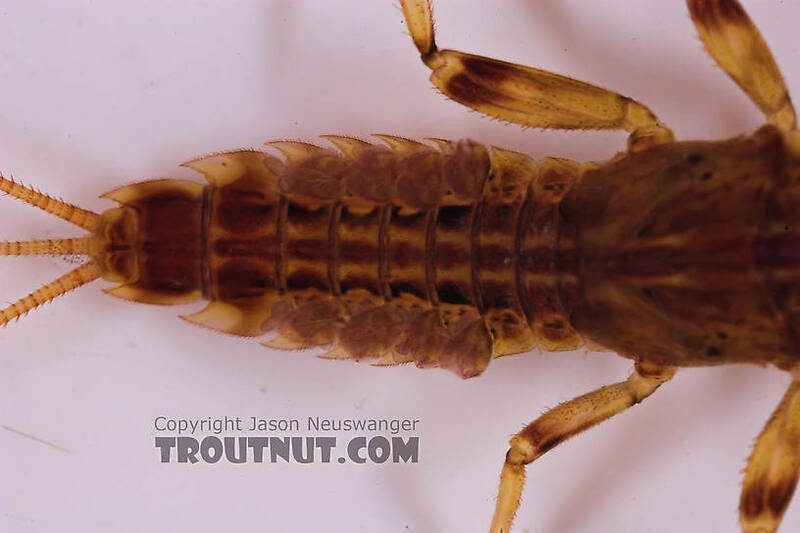 The whorls of spines around the tail segments on this nymph had me thinking it was in the closely related Serratella genus for a while, but this close-up picture reveals the web of fine setae (Seta: Little hairs on insects.) 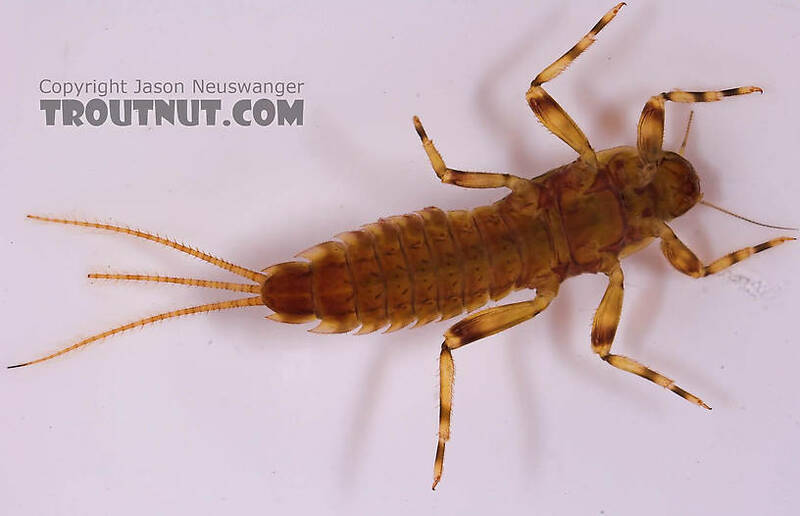 that sets the Ephemerella genus apart.